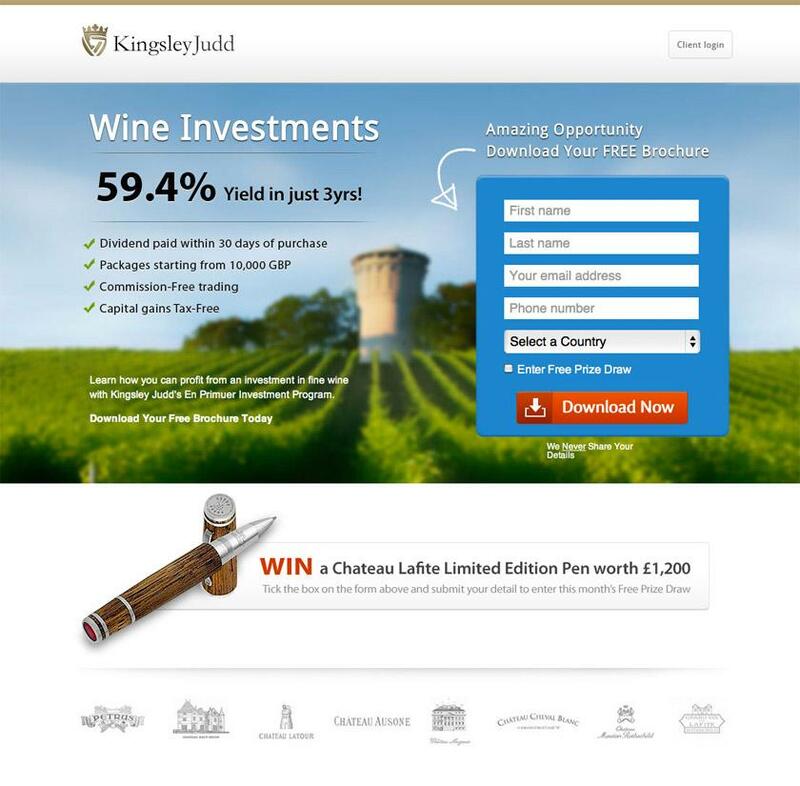 If you could create the perfect landing page, what would it look like? Dream for a minute. What would conversion rates be like? What would the color scheme be? How would the value proposition read? In this article, I want to explain a step-by-step process for creating an ideal landing page — one that virtually reads people’s minds and causes them to convert. I’m not exaggerating my point when I discuss “mind-reading.” A successful landing page is one that understands how a user is thinking. It’s pure psychological intuition. Based on that knowledge of the user, you can develop a landing page that speaks directly to their needs and wants, and then guides them through a process that shapes their thinking. The result is a conversion. That’s where we’re headed below. You want more conversions from your landing pages. You accomplish this by creating a mind-reading landing page. Step 1: Start with a persona. Let me start with some basic marketing advice here. This point should be obvious, but I need to mention it. It forms the entire foundation for reading the user’s mind in the steps ahead. You need to create a persona. 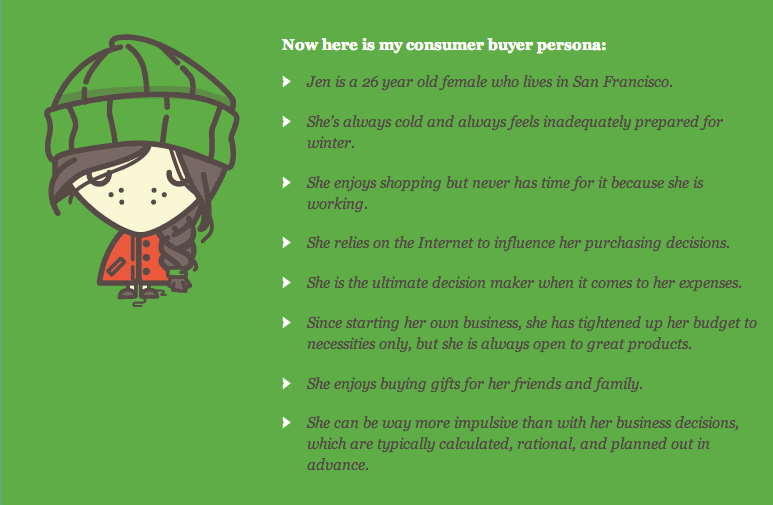 In my guide, Double Your Conversions in 30 Days, I sketched out the following persona. When I create my personas, I don’t whimsically put together details and ideas. With focus and calculation, I decide exactly who the persona is. After all, I’m going to be selling a valuable productto people just like this. I can’t successfully sell anything to that person unless I know them. You must allow your persona to shape your thinking throughout the entire process of landing page creation. 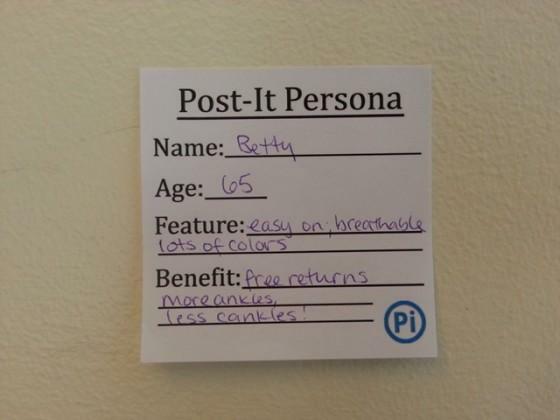 Some marketers suggest using Post-It notes to keep the persona idea in the front of their mind. Spend as much time shaping your persona as you need to. Whatever you do, don’t skip over this step. It is foundational. Step 2: Target the right keywords. Don’t create your persona in isolation from your keywords. A lot of times, PPC bids are made by one company department, and landing pages are made by another department. The two teams aren’t talking to each other. This is a mistake. Keywords and personas go together. Your persona has enormous implications for keyword selection. Taken together, the two define how you should develop your landing page. Every keyword is typed by a persona. You can’t separate the two. Your job as the creator of a mind-reading landing page is to 1) look at your persona, and 2) know what she’s searching for as she reaches for the keyboard. Personas type in keywords. You need to know both the persona and the keyword if you’re going to be successful. Determine what keywords are used at certain stages in the buy cycle. Keep in mind that different keywords suggest different things about where the user is in the buy cycle. The user is searching for “types of coffee makers.” They are early in the buy cycle. They need to understand the differences between certain types of coffee makers and why the type you’re selling is the best. The user is searching for “drip coffee maker reviews.” The user has now settled on the type of coffee maker to purchase, but is not ready to make a purchase. First, they need to find out which coffee maker is the best. If the user is searching for “keurig coffee maker best price” then they are probably going to make a purchase. Their credit card is out; they are ready to buy. The user’s position in the buy cycle is reflected in their keyword usage. This buy cycle position affects the way that you construct your landing page. Discern the user’s intention or end goal in using their keywords. When you look at keywords, give special attention to the longtail variations. These variations tell you exactly what’s weighing on the user’s mind. This is different from the stage in the buy cycle above. When examining the longtail variations of keywords, you want to understand what’s driving the user’s interest in the product. “Cheapest vacuum” – She doesn’t have much money to spend. She’s price-conscious. “HEPA filter vacuum” – She has allergies. Her husband has a dog. She needs to figure out how to keep the air clean. “Most popular vacuum” – She wants to keep her home clean in style. What people think of her is very important. “Best rated vacuum” – She’s concerned about quality, and wants to see charts and data that prove a vacuum’s superiority to all others. “Vacuum cleaner next day shipping” – Her carpets are dirty, and she’s having a guests the day after tomorrow. 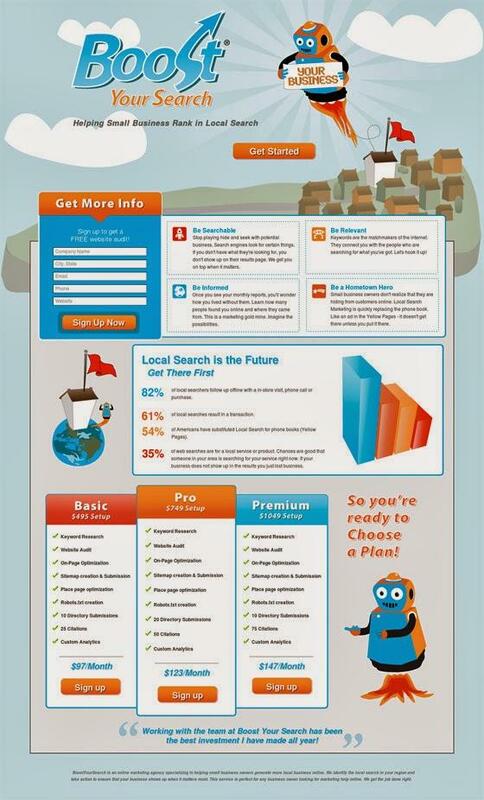 This is how your landing page takes shape. The persona plus the keywords give you all the information you need in order to read the user’s mind. Step 3: Introduce visual power. It you takes hours to shape the perfect landing page. But it takes the user seconds to decide if she wants to convert. You must create a landing page with an unforgettable visual interface so they will linger on the page. The brain processes images far faster than text. Although the exact number is not verified, some estimate that the brain’s visual processing abilities is 60,000 times faster than the brain’s textual processing speed. This has enormous implications for the speed at which the landing page speaks the user, and also the cognitive and emotional impact that it has. Emotionally: Pictures enhance or affect emotions and attitudes. Graphics engage our imagination and heighten our creative thinking by stimulating other areas of our brain (which in turn leads to a more profound and accurate understanding of the presented material). Your goal as the landing page designer is to give the user a full visual experience to immediately immerse them in an environment that overwhelms them with the presence and appeal of your product. Step 4: Answer the big questions in your headline. Your landing page headline is incredibly important. If you’ve been reading your user’s mind, you will understand what they’re searching for and why they are searching. First, the user needs to know what they’re looking at. What is the page about? The average user reads the average headline in 2 seconds or less. You have that much time and space in your headline to engage them. Answer the question clearly. This isn’t the time to be cute. This is the time to be clear. Answer the question with interest. You can be clear and interesting. Use words that reflect action and movement. Answer the question so they will ask more questions. Use your headline to create more questions and invite the user further down the page. By contrast, landing page below answers no questions. Instead, it confuses me. 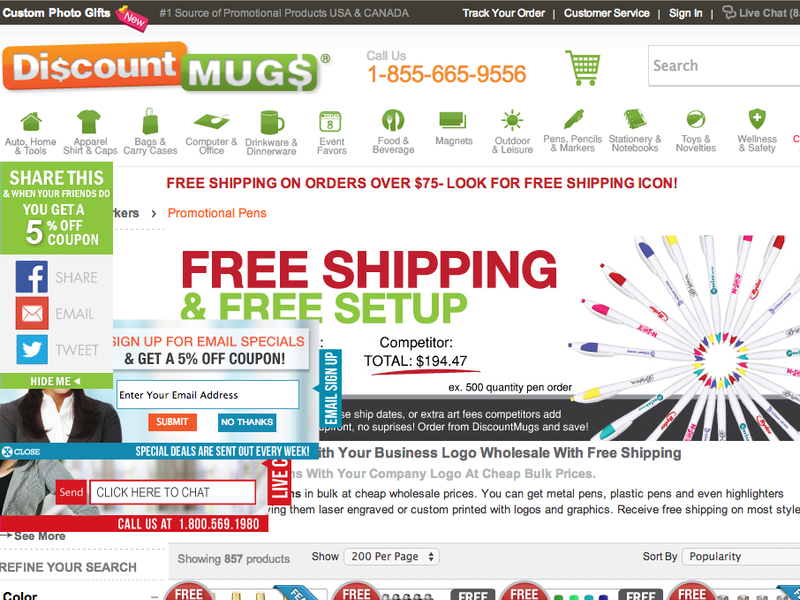 My query was “buy pens online.” In addition to some design errors (overlapping elements), I’m confused by multiple headlines, the offer of “free setup” (which I don’t need), and 200 options. This landing page probably has relatively low conversion rates. While the user is asking “what is it?” they are also wondering “how will this make me happy?” People do whatever gives them the greatest amount of personal satisfaction. 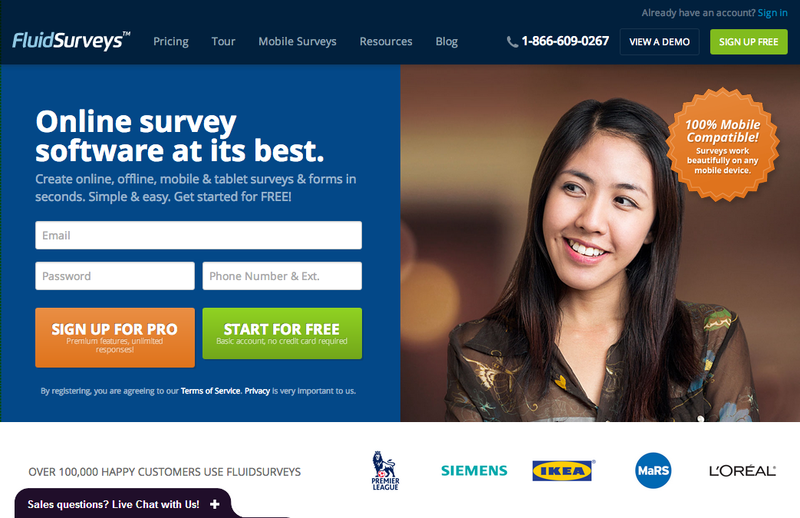 Your landing page should address this pervasive human desire for satisfaction. Even landing pages with B2B audiences can address this need. For example, let’s say a CTO is searching for a great Internet service provider. He’s going to be happy if his employees can meet their goals, while at the same time ensuring that he stays within his budget. This headline will speak to his happiness. Why? Two things: 1) speed and 2) price. Step 5: Answer the little questions in your copy. If you successfully answer the big questions, the user will linger on the page. This is why I’ve given you a step-by-step approach. Mind reading must include two things — 1) knowing what the user is thinking and 2) knowing the order in which they think those things. There is a sequence. You need to answer the right questions at the right time. Quality: Is it good quality? 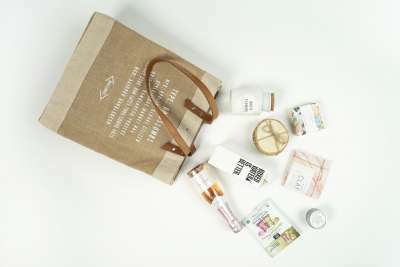 How does it compare with other products? Price: Is it affordable? Are there discounts? Features: What does it do? How does it work? What is it for? Perks: Do I get anything else? Free shipping? Assurance: Can I return it if I need to? Are there guarantees? The answers you provide in your copy will work to improve the user’s trust and reduce friction. Don’t be afraid of going long. In many cases, a longform landing page is the best approach. 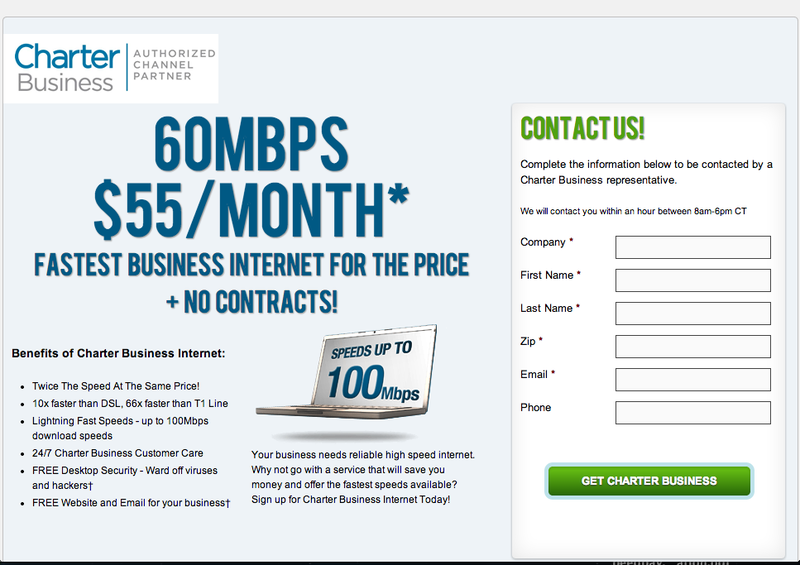 There are two ways of doing longform landing pages: The crappy way, and the good way. Peep Laja dug up a variety of pages that reveal the horrific results of longform landing pages done wrong. This was one of them. This page has 7,781 words. A longform approach isn’t bad, but their execution is abysmal. This is the crappy way — throwing an avalanche of text at the user and expecting them to convert. What they will actually do is bounce or choke on their saliva, whichever comes first. The difference between crappy and good lies in the design. 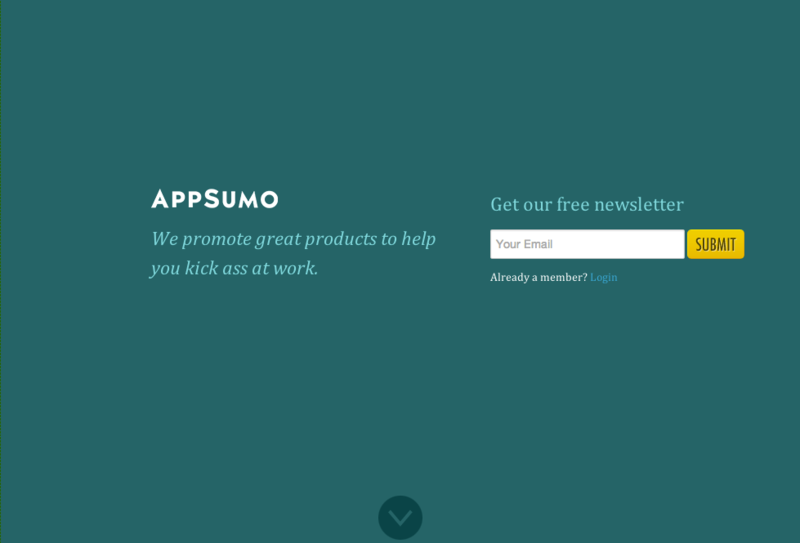 This page, AppSumo, has outstanding design with a longform approach. The length is comparable. AppSumo’s page has 7,168 words. Design and layout make all the difference. Step 6: Satisfy all the objections in your discussion. After a user has their questions answered, they will either convert or start objecting to the proposal. Now, you need to satisfy their objections. The specific objections will vary widely based on your persona, keywords, product, etc. However, the idea is this: They’re going to try and think of every reason why they shouldn’t convert. You understand this objection: The user is hesitant to spend this much money. They are anticipating buyer’s remorse. They want a good deal. They don’t want to lose money. You respond to the objection: 1) You add a warranty. 2) You explain the cost-saving benefits over six months of usage. 3) You provide a money-back satisfaction guarantee. 4) You create a chart that shows how your vacuum is cheaper than four competitors. 5) You create a visual diagram that demonstrates how this vacuum will work for 15 years. 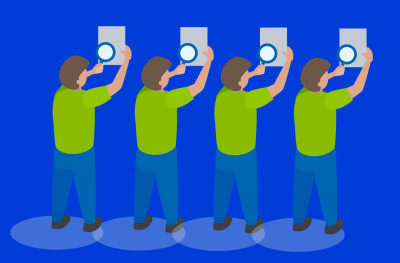 To successfully outmaneuver the user’s objections, conduct a brainstorming session. Think of every possible objection that a user might think of. Write down each one. Make sure you understand what’s driving these objections, then respond to them with images, copy, content, and other persuasive methods. Step 7: Close with a powerful CTA. All of this strategizing drives to a single conclusion: The CTA. Your mind reading powers focus on the goal of causing the user to convert. If you’ve carefully and successfully followed the steps outline above, a conversion should be easy. But don’t give up yet. You still need to create a CTA that pushes the user to the final point of decision-making. 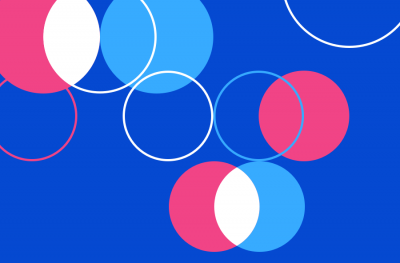 Your CTA should have as much mind-reading intuition as the rest of your page. CTAs aren’t all created equal. Follow best practices, but add that extra twist to make the CTA perfect for the specific user. What techniques can you use to develop a mind-reading landing page?